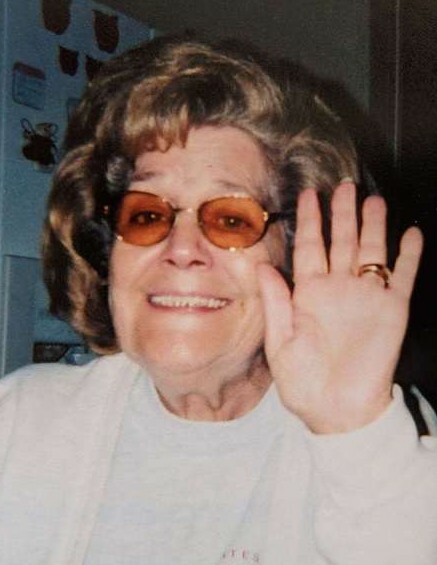 Obituary for Kathleen D. (Carroll) Guerrieri | Joseph W. Nickels Funeral Home, Inc.
Kathleen D. Guerrieri, 90, of Herminie No. 2, passed away Saturday, March 17, 2018, in Excela Health Westmoreland Hospital, Greensburg. She was born Oct. 28, 1927, in Sewickley Township, daughter of the late William and Alice (Round) Carroll. In addition to her parents, she was preceded in death by her husband, Charles A. Guerrieri (1997); two sons, Dennis and Tommy Guerrieri; a daughter, Charlene Fetch; six brothers, William, Harold, Vernon, Clifford, Henry and Tom Carroll and two sisters, Julie Carroll and Clara Kavel. Prior to her retirement, she had worked at Hills Department Store in Irwin from 1979 to 1999 in the home interior department. She was a member of St. Edward Church in Herminie. Her family was her life. She loved to cook and enjoyed going to the casino. Kathleen is survived by her daughter, Marlene Harvey, of Penn, with whom she resided; her son, Charles A. (Teri) Guerrieri, of Herminie No. 2; five special grandchildren; one special great-grandson; numerous nieces and nephews; and great-nieces and great-nephews. Kathleen will be dearly missed by her family, friends and neighbors. Friends will be received from 4 to 9 p.m. Monday at the JOSEPH W. NICKELS FUNERAL HOME INC., 404 Sewickley Ave., Herminie, PA 15637, 724-446-7251. A funeral blessing will be held at noon Tuesday in the funeral home. Interment will follow in West Newton Cemetery.In lieu of flowers, please donate to Cure Alzheimer's Fund, 34 Washington St., Suite 200, Wellesley Hills, MA 02481, in memory of Kathleen. To send online condolences, please visit www.nickelsfuneralhomeinc.com.